High-yield dividend shares form part of Level 6 of the DIY Income Investor Income Pyramid. As the fortunes of these companies change, so does their eligibility for my income-oriented portfolio. So it is worth reviewing the portfolio selection, at least annually. So how is BP doing? 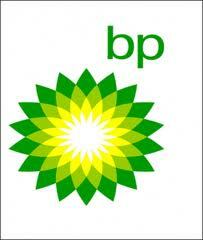 BP - the former British Petroleum - has been in my portfolio for some time. It was for many years a classic 'income' share, with a meaty dividend. However, with the disaster in the Gulf of Mexico, the dividend was cut and the share price fell dramatically. My approach to investing is very much 'buy and hold'. At the time of the disaster, my feeling was that BP would survive and would recover. So I held on - recognising that this was a risky approach. I am still down 12% but the BP recovery is well under way. The company reinstated its dividend a year ago and the share price rose 30% from October 2011 to January 2012. Motley Fool thinks that BP now looks like being a 'great share for long term investors', given that the company plans to return to its previous high levels of dividend. In its recent final result announcement it raised its dividend by 14% and brokers put the potential yield for 2012 at 4.3%. Moreover, the forecast and historic price-to-earnings ratios are attractive, with the former around seven. It's also highly cash-generative and its net debt looks manageable. Of course, there is still uncertainty about the final settlement figure with the US government over the Gulf of Mexico disaster. If I didn't hold so much already, I would BUY - so for me it is a continued HOLD.